Only a stone throw away from the beach and about 15 minutes walk from Playa Kralendijk (The town center) you will find a small and cozy apartment complex. The location is beautiful, quiet and private with a great view all around. The apartments and studios are each decorated in a comfortable style and radiate an Egyptian, Asian, African or Mexican atmosphere. Every apartment has its own terrace, providing access to the communal pool with lounge beds and a relaxed surrounding. 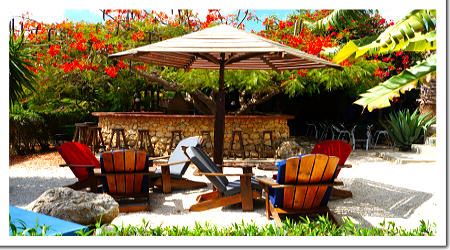 There is an outdoor shower and bar in a lush garden full of palm trees, bougainvillea, jasmine and oleander. In the beautiful tropical garden, next to the bar, we host our movie night on Wednesdays. You can even enjoy a nice "movie meal"
With the excellent and personal service of your hosts Eric & Marloes, both from The Netherlands, you will enjoy a vacation you will never forget! Take a look at the pages of our website and learn more about this Tropical paradise you are about to visit. 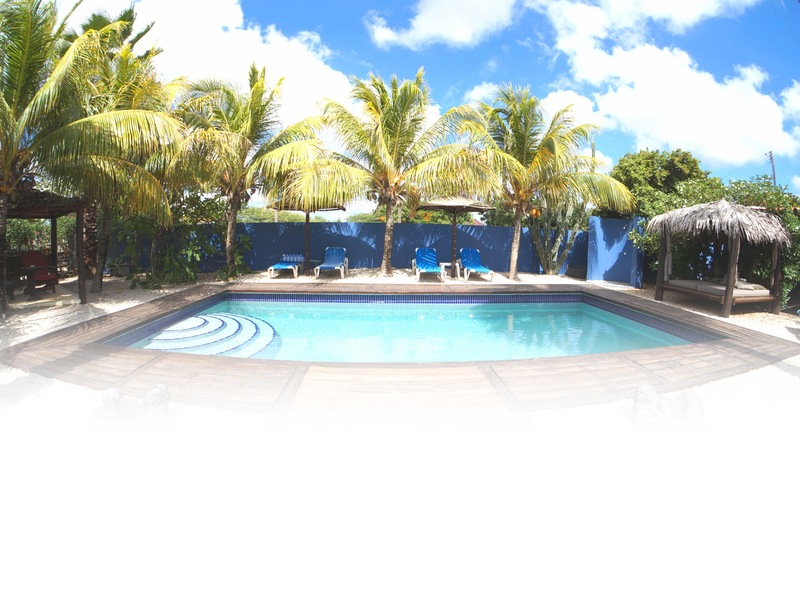 You can contact us with any questions you may have regarding your ideal vacation wishes. At the rates page, you will also find our rental terms. Check out our Facebook page for more photos, updates, events and just fun news flashes. You can also leave your comments about your stay with us. Another great place for reviews and photos is Trip advisor. Check out previous guest's experiences and if you enjoyed your time with us, we would love you to leave a review for us.